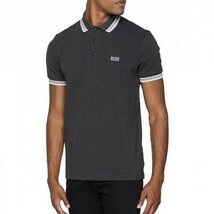 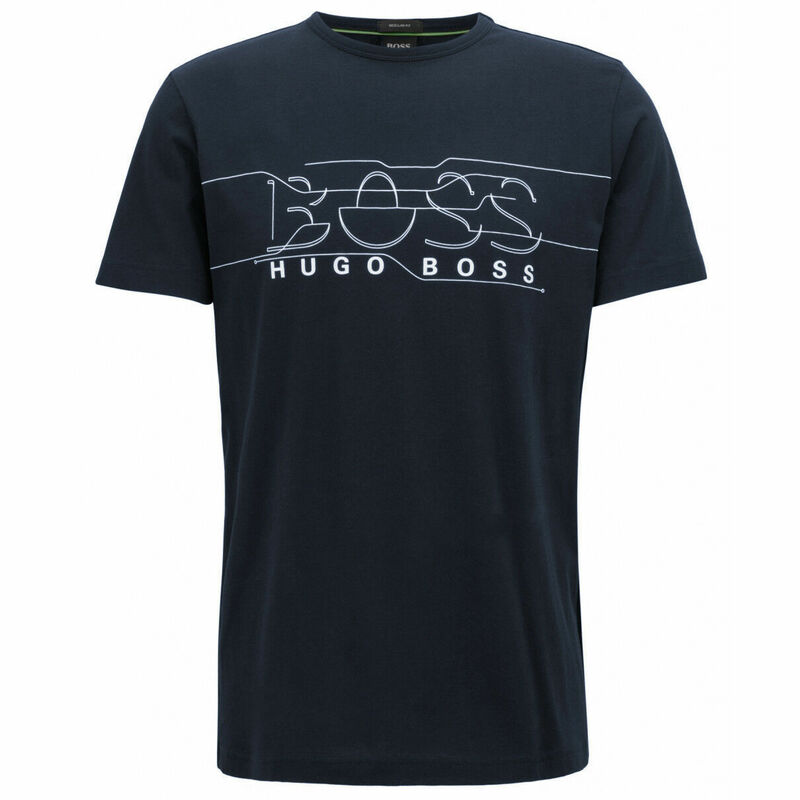 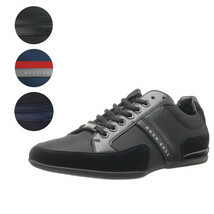 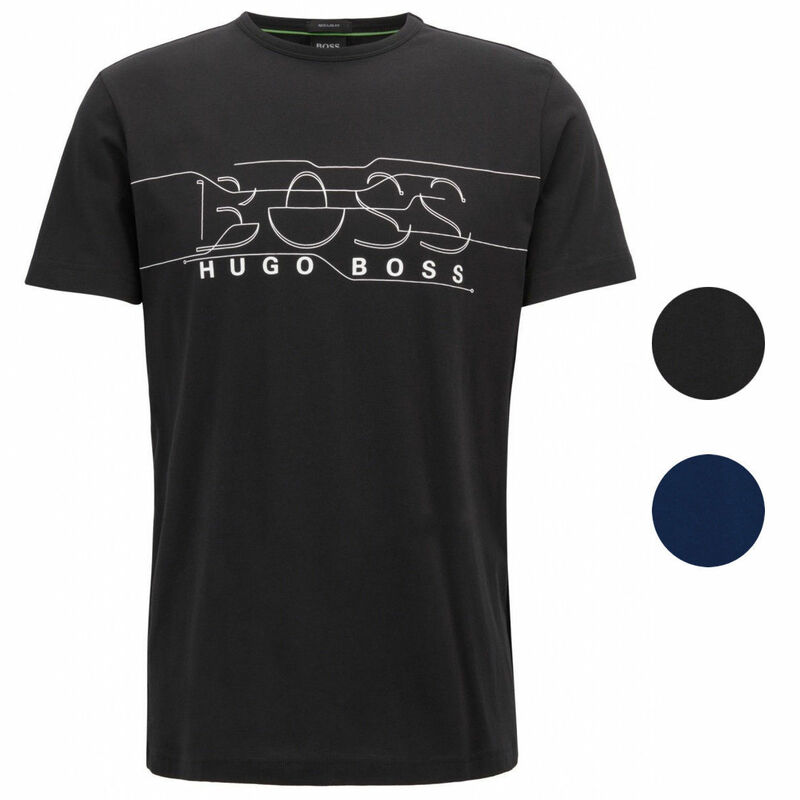 A short-sleeved T-shirt with regular fit from BOSS Men. 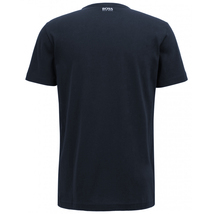 This crew-neck t-shirt with a modern graphic logo print on the front is made in a single stitch of pure cotton. 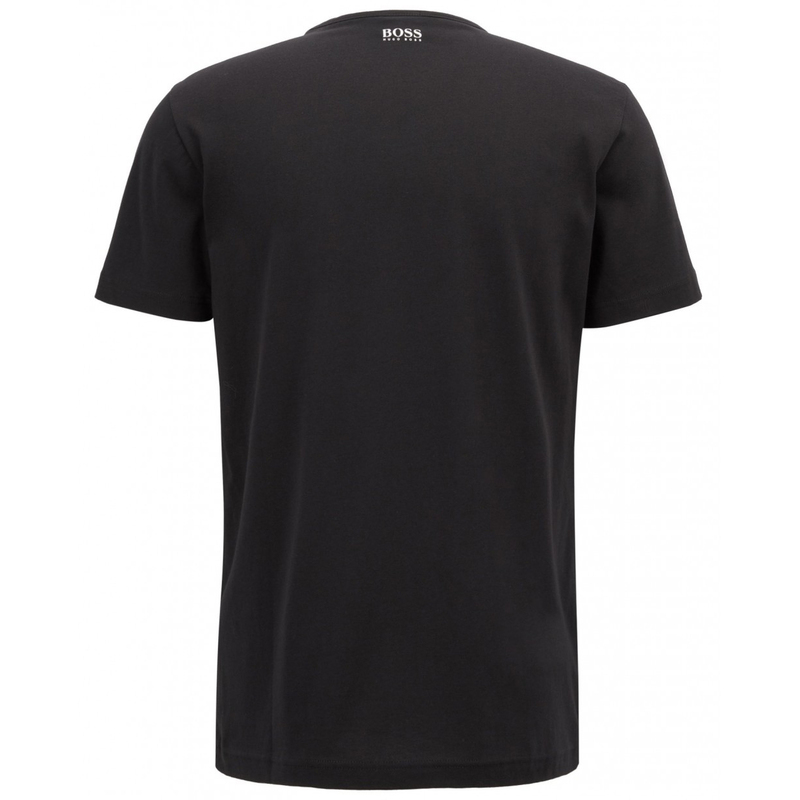 The details of the brand on the nape and the green border on the inside of the neck give a characteristic finish to this versatile garment.